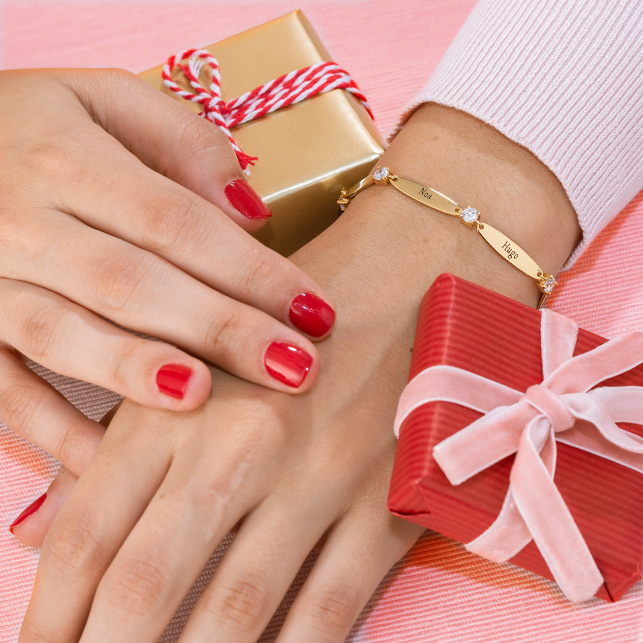 Spoil your special someone with a romantic accessory, or treat mum to a little something she’ll love. 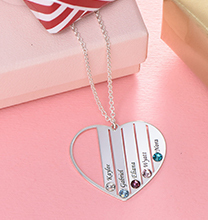 Our Heart in Heart Necklace in Silver with Diamonds offers lots of lovely details, and it’s versatile enough to celebrate different individuals and a variety of occasions. This exquisite piece shows love and devotion via a pair of interlinked hearts. Each heart is positioned at a slight angle, creating a unique profile and showing off the details beautifully. A diamond accent rests inside the curve of each heart, catching the light and providing just the right amount of sparkle. 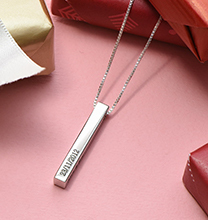 These heart pendant necklaces are just right for pairing your name with that of your significant other, and they’re ideal for sharing two kids or grandkids names as well. 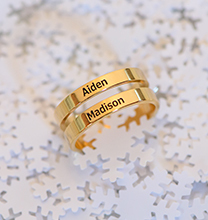 If you like, you can add your own name and that of a single child. The options are endless! 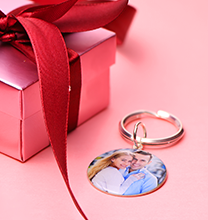 If you prefer to send a loving message without revealing names, you can choose words such as “Always” and “Forever,” “Love” and “Always,” or “Family” and “Forever.” These are just a few ideas for creating a pendant that holds a special meaning and looks amazing. This gorgeous necklace is made with 0.925 Sterling Silver. The pendant hangs from a matching Sterling Silver Bead Chain. 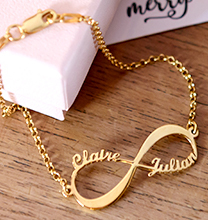 We invite you to view our diamond name necklace collection, where you’ll find an array of options including this elegant style in your choice of 18ct Gold Plated or 18ct Rose Gold Plated. Whichever you choose, it’s certain to be treasured for years to come!